Have you ever looked at the circumstances of your life and said, "What's up God? Why are you not coming through for me?" If we are honest, all of us have said or thought these things at one time or another. 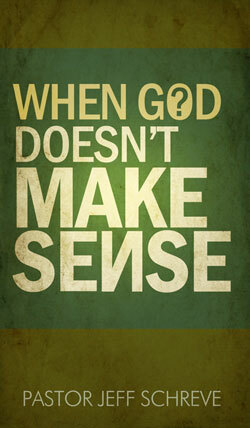 Much of the time, God doesn't make sense to us. He works in ways we can't see and don't understand, but He is always working on our behalf. This booklet is based on the greatest miracle Jesus ever performed - the raising of Lazarus from the dead. From this great story in John 11, we can learn what to do when God doesn't make sense ... and how to see His glory even in the worst of circumstances.